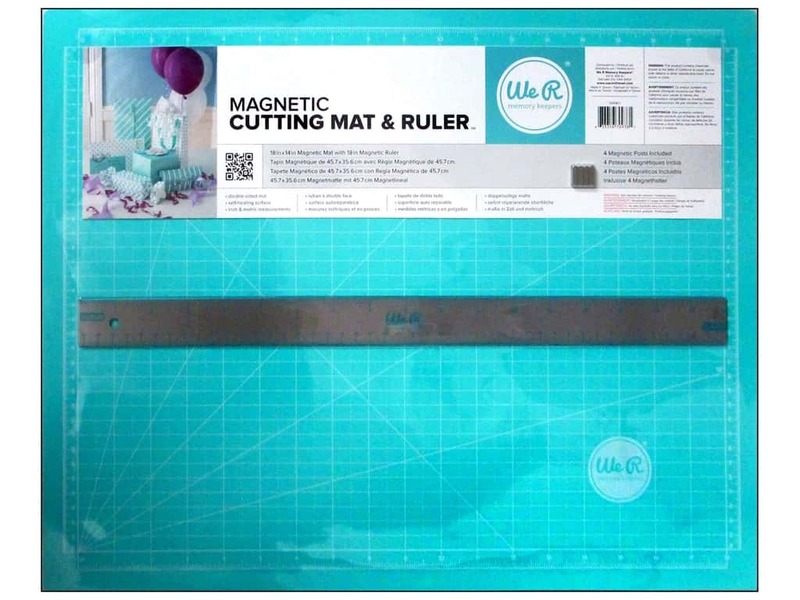 Description: We R Memory Keepers Magnetic Cutting Set includes an 18 x 14 inch double sided, self-healing magnetic mat, with inch and metric markings in White on Teal. And an 18 inch metal ruler, with inch and metric measurements in Teal. The combination of magnetic mat and metal ruler will hold down what you're cutting. Also includes 4 magnetic "posts" for additional hold and control.